Additional parcel numbers 14-2-15-12-06-104-008/009/010/011/012/013. 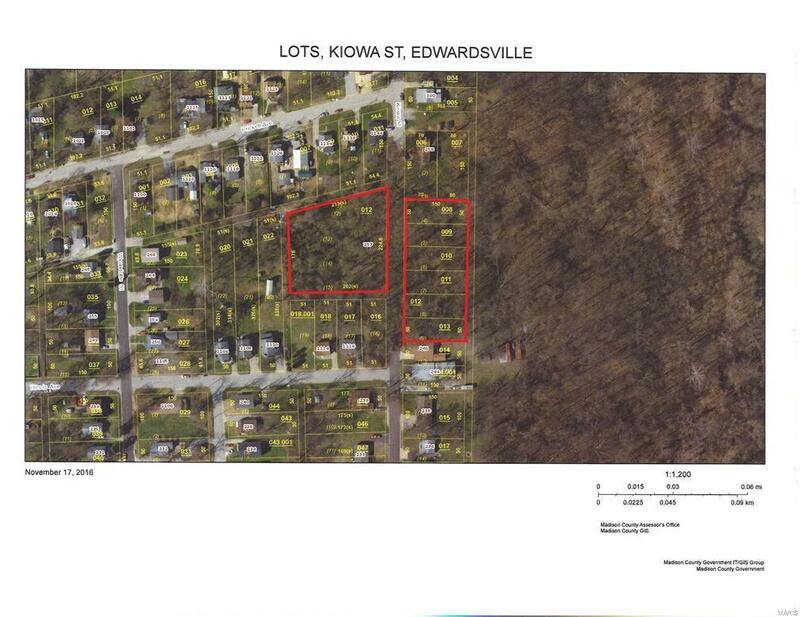 10 plated lots for sale in Edwardsville. Water/Sewer & Utilities are avaiilable & directly adjacent from intersection of Illinois & Kiowa. Taxes and acreage are for all 10 Lots/approximately 1.97 acres.